In 13 months we increased annual revenue by 277% and the business grew from 6 to 7 figure income. In 12 months we increased annual revenue by 64% and rooms sold per month by an average of 73%. After just 7 months we increased leads per month from 123 to 276 and reduced the cost per lead from $93 to $61 dollars. Byron and the team at PixelRush are by far the most helpful, creative, internet savvy, knowledgable and friendly SEO, Web Design and Adwords specialists in the country. I have had many bad experiences with big SEO companies in the past – a big waste of money. PixelRush far surpasses any of these, and at an extremely fair price. Really happy with our new website design and looking forward to working on getting the site out there to who matters in our bespoke industry. Byron and the team have been managing our Adwords here at Sydney 24 Hour Plumbing for the past 6 months and the reporting and results have been fantastic. Feel free to give me a call if you would like to discuss. Keep it up PixelRush. 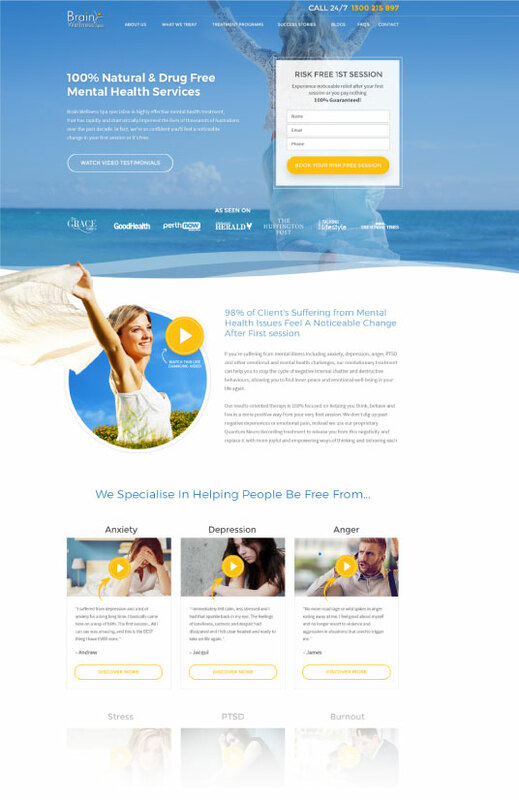 Brain Wellness Spa is a Perth-based mental health clinic that helps people overcome all types of mental illnesses using cutting edge neuro therapy techniques. Over a 3-year period Terri invested over $100,000 with 7 different SEO agencies, with very disappointing results. By 2016 Terri was almost ready to give up on SEO and digital marketing. She decided to give it one last try, hoping she had learnt from past mistakes. 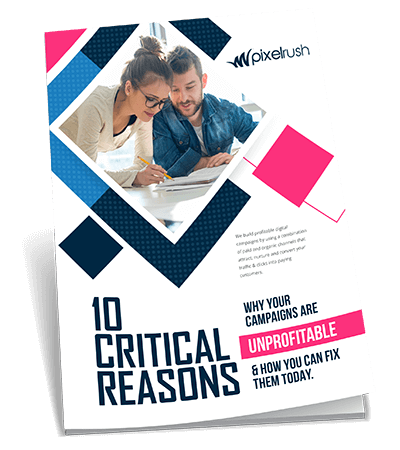 After interviewing 10 different companies Terri decided to engage PixelRush for SEO services, even though initially she thought the monthly fee was a little over her budget. After 13 months with PixelRush, and a combined strategy of new website, SEO & PPC, Brain Wellness Spa increased revenue by 228%. Terri, owner and founder of Brain Wellness Spa, now knows that for every $1 her business spends with PixelRush it will return $6 to $7 dollars or more. PixelRush have helped lift our average monthly website traffic by 20+ percent. They’re the next level with SEO. Also, we couldn’t be happier with our new homepage design and added search functionality. We expect conversions to lift significantly as a result. Byron is a big picture thinker and has quickly become an invaluable partner of our business, Australian Sports Camps. PixelRush stepped in to optimize the SEO for my new website for my podcast. Originally, when searching for my podcast’s name (Career Relaunch), my site wasn’t showing in the first 25 pages in Google. After their work, I immediately began to see my site’s page ranking improve, and it eventually climbed all the way to the top of the first page of Google results. Highly recommend PixelRush if you’re looking for true professionals to help you with your SEO.